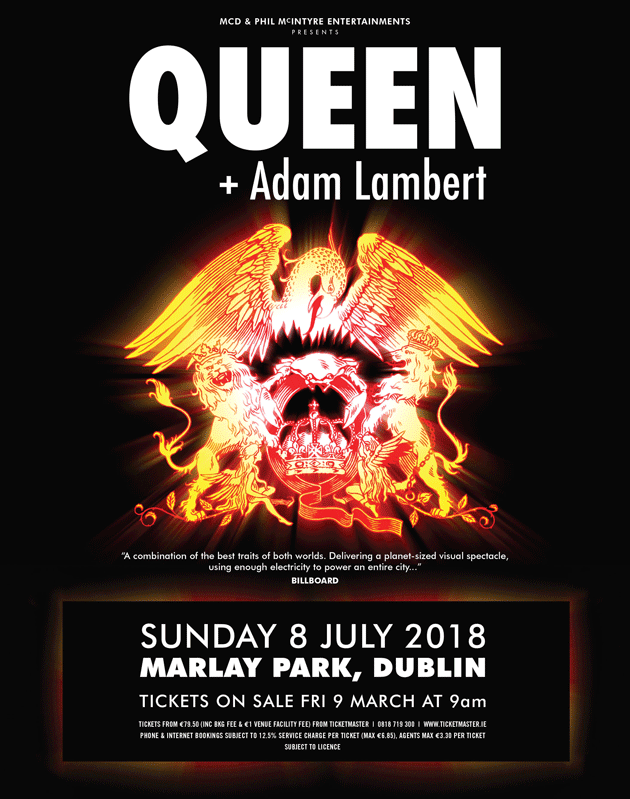 Following a phenomenal 3Arena, Dublin & SSE Arena shows last November, which sold out in minutes, Queen + Adam Lambert has made the surprise announcement that the band will play new European dates, including an open-air concert at Marlay Park on Sunday 08 July, subject to licence. 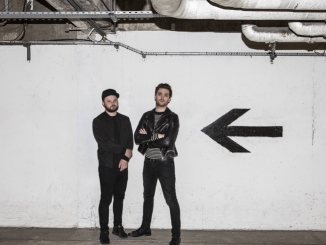 Queen + Adam Lambert’s magnificent 2017/2018 touring show has been custom tailored for the band by some of the world’s most cutting-edge creative talents. Responsible for design and production is Ric Lipson from Entertainment Architects Stufish Productions, renowned worldwide for their innovative work with artists such as Pink Floyd, the Rolling Stones, and U2, as well the opening and closing ceremonies of the 2008 Beijing Olympics. Making use of over 300 moving lights during the show is the highly acclaimed lighting designer Rob Sinclair, who has illuminated tours for major artists including Adele, Peter Gabriel and Kylie Minogue. The production’s genuinely eye-popping laser elements are the work of ER Productions, behind both the opening and closing ceremonies of the London 2012 Olympics and seen by over 900 million people worldwide. On the musical side, the Queen + Adam Lambert touring band also features Spike Edney on keyboards, Neil Fairclough on bass, and Tyler Warren on percussion. 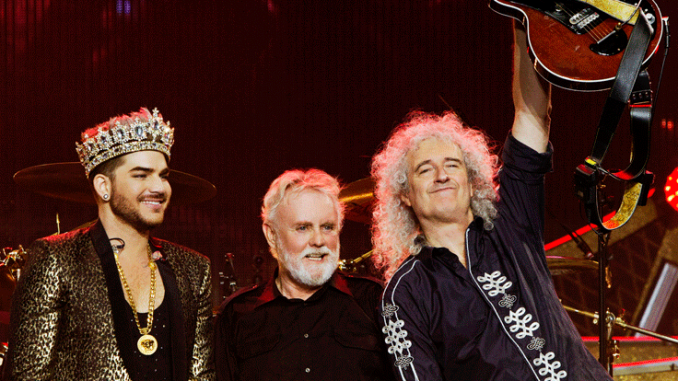 Since first sharing the stage for the American Idol final in May 2009, Queen + Adam Lambert have proved to be a hugely successful global partnership, has now played more than 130 shows in every corner of the world.